Evolving out of a company that first produced wooden double-helical gears, which inspired its badge, Citroen quickly established itself as a manufacturer of innovative cars that weren’t afraid to break with convention. The launch of the Type A in 1919, Citroen’s first model and Europe’s first mass-produced car, started the company on a route to five decades of innovation, where it would often bring new technology and engineering brilliance to the masses. As part of our Best of Marques blog series, Carphile has selected five of Citroen classics, from early classics to the more recent. The C6 may have started as a motor show concept car but beneath those modern looks hide well-bred, traditional French saloon car qualities of ride, comfort and intelligence. 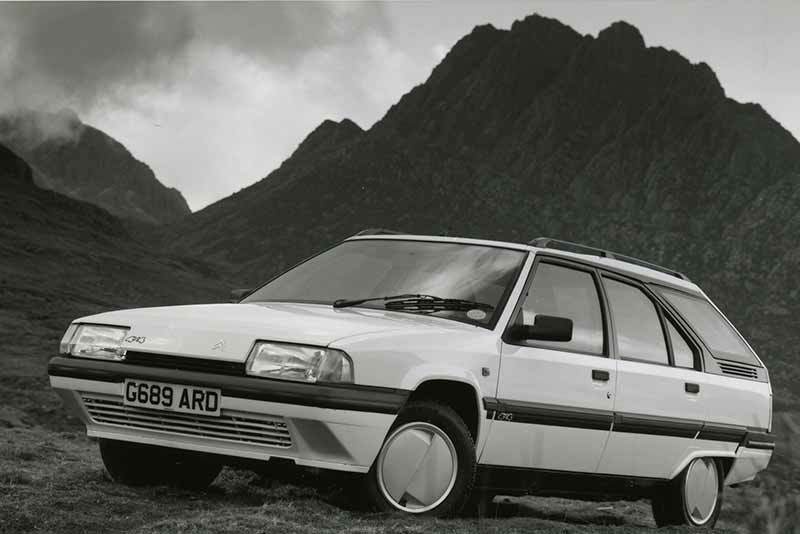 Conversely, they are also the very characteristics that historically made the Citroen marque great. The C6 is a car for individuals, who value comfort and style over Nurburgring lap times. Despite being the car of choice for two French presidents, the C6 suffers from another less-favourable saloon car tradition, depreciation. Making it surprisingly affordable to buy secondhand and good examples now start at around £7,000. Who would bet against this modern successor to the DS reaching classic status in years to come? In 2014 the Traction Avant celebrated its 80th birthday and over eight decades after it first went on sale, 21st century car design still owes a great deal to this game-changing car. You could be fooled into thinking the innovation is all in the name… ‘Traction Avant’ or ‘Front-wheel Drive’ but that is only part of it. Up front there was independent front suspension and under that low-slung bodywork, lurked a welded steel monocoque. This abandoned separate chassis and bodywork construction that was the order of the day, while improving road holding, safety and pioneering a method of construction that is still in use today. Introduced in 1934 the car remained in production until 1957, after which over 750,000 had been sold. The car had a reputation for being extremely robust, meaning many still survive and are popular with car enthusiasts today. The ink was barely dry on his Lamborghin Countach design, when legendary automotive designer Marcello Gandini penned the Citroen BX. Under the skin there are lots of clever and quirky Citroen touches – self-levelling hydropneumatic suspension, the on-off switch brake pedal, a single spoke steering wheel. BX’s make practical classics too. The estates are huge, the diesels economical and, our choice, the GTi 16v is fast. It’s 1.9 litre, four cylinder produces 160bhp, enough to propel the light bodied BX from 0-60 in just over 7 seconds and on to a top speed of 135mph. But while Gandini is one of the all-time car design greats, very few have woken up to the charms of the BX. Over 2 million were sold during the car’s 12 year production run, which has kept prices low (starting from around £800) but neglect has left very few on British roads (so rare that we couldn’t find a picture of the GTi for our post!). So if you fancy picking up an endangered Citroen classic. Our choice would be to try and find a good BX GTi 16v while you still can. It may have originally been intended as an affordable car to replace the horse and cart in rural France, but the Citroen 2CV went on to achieve super-stardom and become a French icon. When released in 1948, the press derided the car but the public disagreed and demand for the 2cv was so high there was soon a 5-year waiting list. Key to the cars success was the minimalist, no-frills design. It may have been designed to transport two French famers, over a ploughed field with a 60kg bag of potatoes or a basket of eggs (without breaking a single egg) but it was also comfortable, it’s clever inter-connected suspension could tackle rough undeveloped roads and the two-horsepower, twin-cylinder, air-cooled engine was reliable, economical and needed little maintenance. 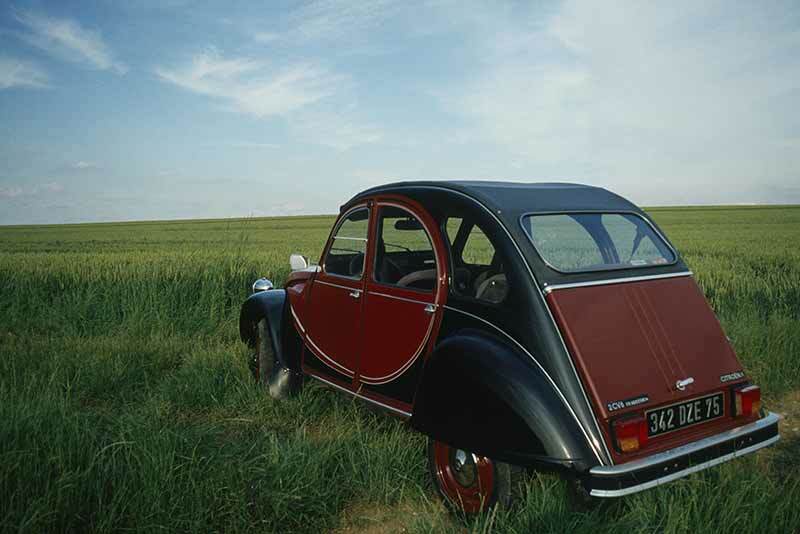 Incredibly the 2cv stayed in production until 1990, reaching sales of over 8.7m for all its variants, making it one of the most popular French cars of all time. A quarter of a century after production ended, prices for this classic French peoples car, are now very much on the rise. When work on the DS started, the Citroen boss Pierre Boulanger set his designers with daunting task to “study all possibilities, including the impossible’. A car to show the world that France could develop the ultimate vehicle. A car so advanced that, rumour had it, the Russians tried to kidnap its chief designer to work on their space program. 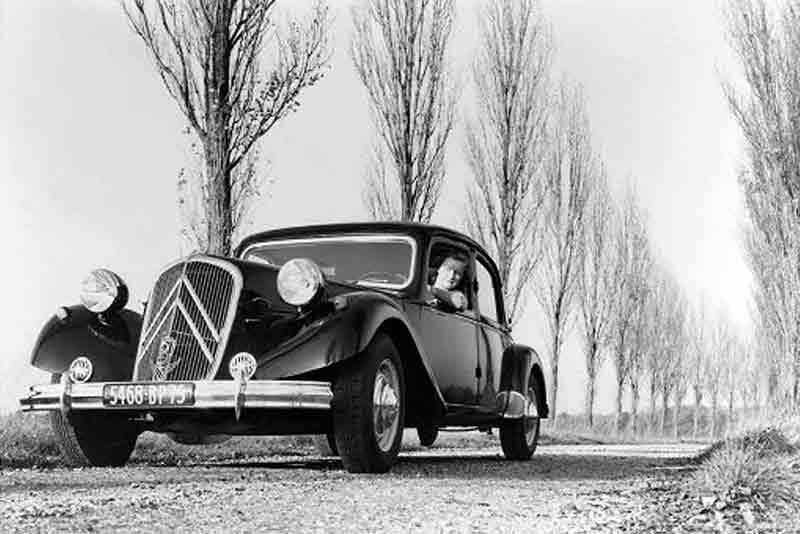 When the DS was released in 1955 it was a world apart from the Traction Avant it replaced. That streamlined space age silhouette has put designers and Citroen fans in a frenzy for over sixty years and the influence on Citroen so strong that they launched the entire DS luxury-brand in 2010. At the heart of the innovation was hydropneumatic power. Citroen had pioneered this revolutionary suspension system on late Traction Avant models but took it a step further with the DS, using it to not only suspend the car but also power the steering, brakes, clutch and, eventually, the gear change – decades before Formula 1 cars. Famously, DS when pronounced in it’s native tongue sounds like déese, French for godess. 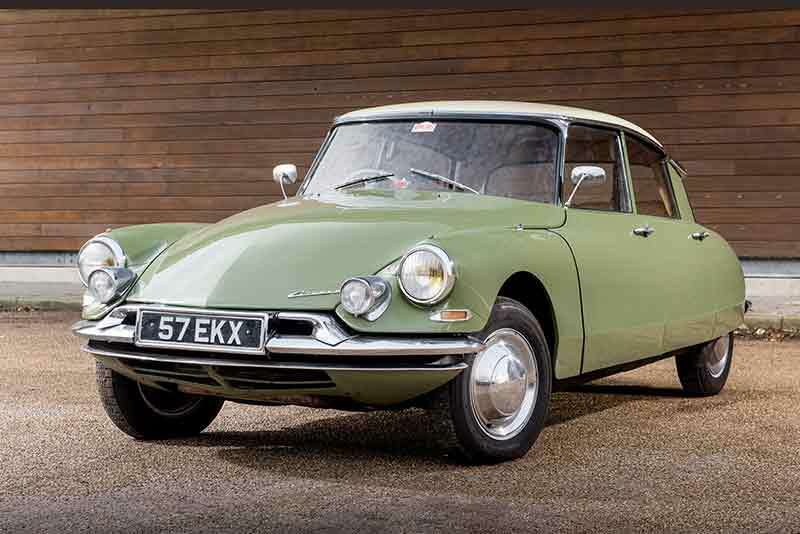 To this day the DS is revered as one of the most innovative and beautiful production cars ever built. 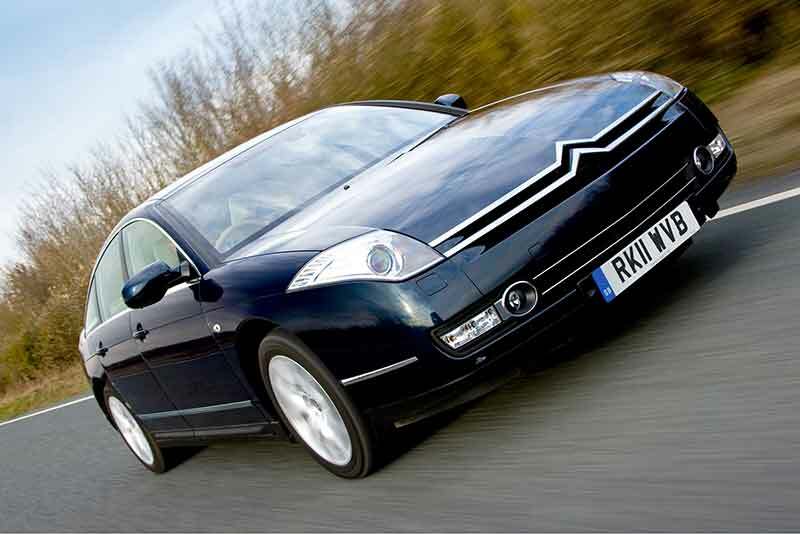 Do you agree with our top 5 Citroen cars? Which top 5 Citroens would you choose? Please let us know by commenting below.